If existing licensed venues just aren’t doing it for you, choosing a celebrant like me to lead your ceremony means that almost anywhere can become a wedding setting. You might feel at home in the great outdoors, so the family garden, magical local woodland, or tucked away beach could be more meaningful than a hotel. Or perhaps you’re drawn to a venue with heaps of character that doesn’t usually host weddings, such as a museum or theatre. Most of these won’t be licensed for your marriage ceremony so you’d traditionally only been able to entertain these as options for the reception. A celebrant enables you to host the entire wedding day in a unique location- but don’t forget the legal bit, see here for FAQs! You’re filling your wedding day with the food you love, your favourite flowers, and all the pretty details that mean so much to you… why not personalise your ceremony in the same way? Working with you, I’ll craft a ceremony that is unique and deeply personal. From your vows, to readings, to music choices, we’ll figure out what to include to create a meaningful ceremony. You might want to incorporate aspects of your faith, include friends and family, or combine symbolic traditions. No two weddings are ever the same, and I’ll write your ceremony around your desires and priorities. I also create bespoke vow renewal ceremonies, which are a wonderful way to celebrate a landmark anniversary and a great excuse to gather your loved ones together. Vow renewals can also be a particularly meaningful way to reaffirm your love for each other after a period of personal upheaval. We’ll talk about your journey together, why you want to renew your vows and what’s really important to you both. 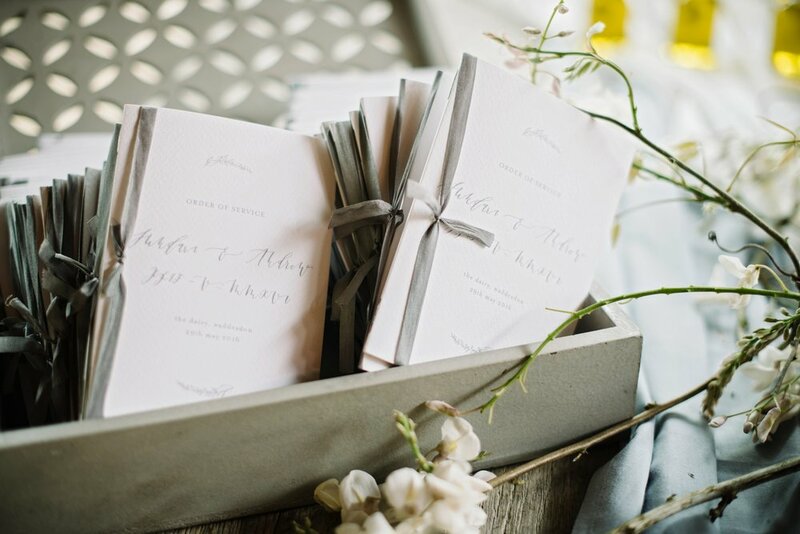 Your ceremony will be written around these aspects to create a truly heartfelt experience. Fees for wedding ceremonies and vow renewals from £660.